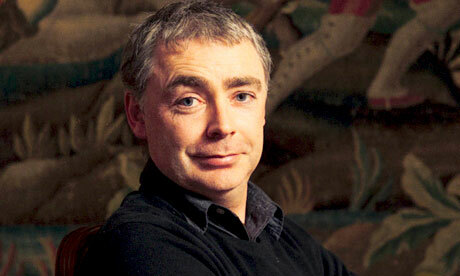 Author Eoin Colfer is best known as the author of the best-selling Artemis Fowl books. In 2009 he was asked to write another book in the Hitchhikers Guide to the Galaxy series. The first five books having been written by Douglas Adams. It went on to be a best-seller as well. Eoin Colfer has been nominated and won a number of awards including the British Book Awards Children's Book of the Year (2001), Whitbread Children's Book Award (2001), WH Smith People's Choice Award (2002), Irish World Literature Award (2003) and the German Children's Book of the Year (2004). Plugged is a very dark comedic black novel but also with lots of adventure and humour. Was this your original intention? No. Originally I wanted the tone to be dour and the anti-hero to be implacably seeking revenge on something. A Lee Marvin type vendetta thing. Of course after page one I started slipping in the jokes so the tone alternates, smoothly I hope, between action and humour. The character Dan McEvoy is a rather complex person. I would venture to say that he is an anti-hero. Sometimes you like him for example when he is determined to find Connie’s killer and sometimes he can be rather cruel. How did you come up with the character? I like my characters to be a little conflicted just the way real people are. We don’t always react in ways that would make our mothers proud but that is simply being a normal human being. Dan has learned the hard way to be a survivor and sometimes that means being heartless, what makes him likeable, I hope, is the hours he spends arguing with himself trying to justify his actions. For me, Dan is what I might be like if I was a foot taller and trained to kill. Sad, I know. Are there any anti-heroes that you like? I love Captain Hook, not Doctor Hook which is a different thing, though I like them too. I also think Hannibal Lecter has a certain reptilian charm. Zeb is also a thorn in Dan’s side not only when he was alive but also when he is dead. Is Zeb based on anyone that you know? Zeb is a creation. Luckily for me I don’t know anyone which is both insanely self-serving and self-destructive. Friendships like this one are doomed to end badly. Are you a film buff as you have referenced a wide variety of films in the book? I do love the movies and I have been waiting for years to make one of my characters a movie buff so that I could use all this trivia banging around in my head. So Dan gets that along with all his other problems. If Dan ever manages to break through into the real world he will not thank me. The characterisation of the mobsters in Plugged is reminiscent of the mobsters in films such as Goodfellas. Was this deliberate? I think they are movie mobsters. I tried to make Irish Mike a bit larger than life so he does seem a little caricaturist. I did some research on famous mobsters and it turns out many of them wanted to be movie stars. Maybe some are and we don’t know it. I can think of a couple of baddie actors who are a little too realistic. What makes a character real for you? Must you work everything out about them before hand or do you just let it flow. I simply let it flow and allow the character to develop. Of course this means going back a lot to fix what you hadn’t developed earlier on, if that makes any sense. Plot or character? Which do you think is the most important and why? I think both are important. I don’t really consider it as I am writing trusting to my natural grasp of story to get me through, but I suppose that if this is going to be a series then character would edge out plot in importance. What made you decide to set the book in New Jersey as opposed to elsewhere? I have visited NJ several times on tours and was struck by the contrasts of leafy suburbs and mean streets. Every time I went back the plot for Plugged would spring back into mind until eventually it would be ignored no longer. How would you best describe Plugged to someone who is just about to pick it up and read? I think a series of warnings would be best:Not for the faint of heart.Not for those lacking in humour.Make sure you are close to a bathroom. Dan McEvoy is such a great character one would like to see more of him. Will there be a sequel to Plugged? I hope so. If this book is even faintly successful I will do some more. I love this genre and would stay here forever. You have written a number of standalone novels. What made you decide to write a crime novel? I have always loved the crime genre and some of my good writer type friends all ready work in it and their conventions sound like so much bloody fun that I had to try and get in on the act. I wrote a crime book for kids before and it even got turned into a BBC series but I knew that eventually I would have to bite the bullet and do one for the big people. Do you read crime novels yourself and if you do, have you got any authors that you enjoy reading the most? I read crime novels all the time. I love Ken Bruen, John Connolly, Elmore Leonard, George Pelecanos, Jim Thompson, Chandler, James M Cain, Arthur Conan Doyle. I could go on for a long time. One has to ask you about being asked to write And Another Thing in 2009. How did you feel about being asked to undertake such a responsibility bearing in mind how much of a cult read the original Hitchhiker’s Guide to the Galaxy books are? I was terrified and still worry every time I meet a fan. I think most people liked the book, but I felt a huge responsibility to Douglas and his wonderful family to live up to their trust. I don’t think the public reaction to a book has ever meant more to me. I am very relieved to have gotten through unscathed and also feel proud to be a small part of the Hitchhiker legacy. You are best known for the Artemis Fowl books how pleased have you been with the response towards the books? I feel so happy and proud to be one of the Artemis team. There are a lot of people responsible for getting that book on shelves all over the world for someone to react to. Having said that I sometimes read passages in bookstores for events and I can still stand over the books. I think the first one read well even after ten years. Do you still find time to read? What are you reading at the moment? I still read as much as possible, but not as much as I would like and there are times after a day’s work that I admit I cannot face looking at another typed word. At the moment I am reading Submarine by the amazingly talented Joe Dunthorn which is so good I just was to either retire or write an extremely similar book. Is there a book you wished you had written? I often wish I had written Peter Pan. It is so wonderfully conceived and executed. Every character is a classic. Everyone should read it. Who were your influences when you decided to start writing? Do other books still influence your writing and if so what other types of writing are you attracted to? For many years, decades in fact, I only read crime. If there weren’t at least three decapitations per chapter I was not interested and I brought the noir style to fantasy writing which I think really helped in its success. Artemis Fowl is really a crime story with fairies if you break it down. Now I try to read a wider range and draw my influences from anywhere, from romance to western to straight literature. Part and parcel of being a writer is all the camaraderie that you get within the community. Do you enjoy going to conferences and book signings? I do. It is great to meet the readers and just as good to meet some of my writing heroes. I bumped into Ian Rankin at Edinburgh and Marion Keyes at a book fair in Finland. I cannot wait to do a few crime weekends. I understand that you recently said that the eighth Artemis Fowl book would be the last. Are you able to give us any hint of what is going to be in the final novel and why have you decided to stop writing the series? All I can tell you about Artemis 8 is that Artemis will be a good egg by the end of it which will unfortunately mean the end of him as a character. You are also going to start writing a new series involving a Victorian boy called Riley who goes on the run in 21st-century London pursued by a ruthless assassin from his own time and aided by a young FBI agent and which you describe as being Oliver Twist meets The Matrix" can you tell us a bit more about the new series? The new series is called WARP which stands for Witness Anonymous Relocation Program and tells the story of an FBI group who hide federal witnesses in the past where their enemies cannot find them. Unfortunately things go wrong and some very dangerous Victorian characters escape into the present and go on the rampage with only a juvenile agent to hunt them down. If you could spend time with any of your characters whom would it be and why? I would love to spend time with a guy called Hillman Hunter who was created for And Another Thing because he might be able to introduce me to Zaphod Beeblebrox. And who wouldn’t want to spend some time with the hoopy President of the Galaxy. Shots taken exclusively for SHOTS during the London book launch at Goldsboro Books.